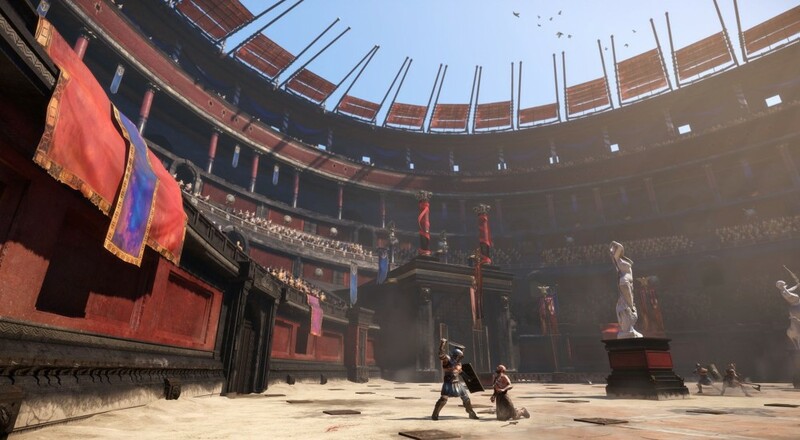 Co-Optimus - News - Ryse: Son of Rome Filled with Microtransaction "Goodness"
It feels like not that long ago that we learned that the seemingly quick-time frenzy that is Ryse: Son of Rome would include a co-op mode where players can team up in arena combat situations. While this particular mode wasn't on display when announced, it's gotten demoed a bit more recently at various events and there's an interesting bit of news regarding this co-op mode. Specifically, it will feature everybody's favorite: microtransactions! Yay! "When we talk about the progression system for multiplayer, it's armour-based," said the producer. "The way that you get armour is very similar to how you get it in like Mass Effect or FIFA. You only earn gold while playing multiplayer [and] you use that gold to buy booster packs. Those booster packs contain random sets of loot. Based on the different tiers of loot that you get - whether you buy Bronze, Silver or Gold Packs - guarantees whether you get rare or common items." They wanted to be clear, though, that these transactions are entirely optional. You can still earn the armor and loot in the those various packs by playing through the colosseum's and earning in-game gold. This definitely reminds me of Mass Effect 3's transactions for its co-op mode, and it's not the worst way to implement microtransactions if you feel that you need to do such a thing. The main difference between them is that whereas Mass Effect 3 was an all-or-nothing sort of purchase regardless of how many points you'd earned up until the point, Ryse will let you just purchase the difference. So if you've earned up almost all of the required gold for one of the boosters and find yourself just a few hundred pieces shy, then you can spend some of your real world dough to make up the difference and get that instant gratification of opening a booster pack of things you already have two copies of. The armor and other loot you can acquire is set according to tiers that can only be unlocked by earning it, so you won't be seeing too many players just buying their way to the top once Ryse is released some time this November. Page created in 0.3002 seconds.